I love the Christmas season. The Christmas movies on tv, songs on the radio, decorations etc. I am not sure what appeals to me so much about it, but it is a time I look forward to every year. We are trying to teach our children that it is not about the gifts that are under the tree. But celebrating with family and remembering Christ. Of course, being young they want the biggest and best, but it doesn't always happen. The grumpiest fish in children’s literature is back with another case of “the dreary wearies.” This time, Mr. Fish, star of The New York Times bestselling Pout-Pout Fish series, is down in the dumps over holiday shopping. 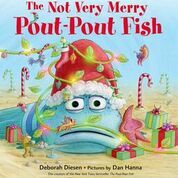 With a message for readers of all ages, The Not Very Merry Pout-Pout Fish (Farrar, Straus, & Giroux Books | Macmillan Children's Publishing Group, Ages 2-6) finds Mr. Fish so consumed with finding that perfect gift for each of his friends that he forgets the true meaning of the holidays. When Mr. Fish—with his signature Pout-Pout Fish frown—comes up empty-handed, Miss Shimmer intervenes with a plan to make homemade gifts. He soon learns that it’s not about busting the budget or gifting the season’s hottest item, but giving from the heart. Together they experience the joy that comes from giving and sharing—the merriest gifts of all." Interested in a copy for yourself? You can buy it on Amazon.ca or Amazon.com - or, you can enter to win a copy right here! Use the form below to enter! This is open to residents of Canada and the United States. Giveaway ends at 1159pm EST November 23rd. Winner will have 24 hours to respond or will forfeit. 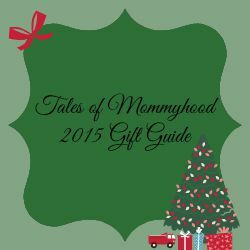 Tales of Mommyhood received the above mentioned product in exchange for hosting this giveaway. I would love to win this book for my daughters. Would love to win it for my granddaughter! I'd love to win this for my grandson in Germany who's growing up bilingual. I would like to win this for my little boy. We read together every night! 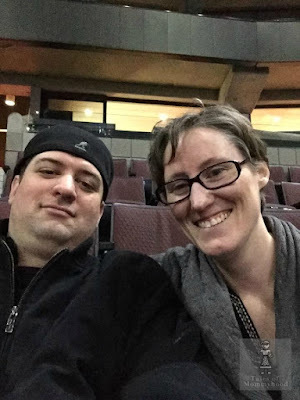 I would love to win this for my boys. They would love it! I'd like to win in for my son. My stepson would love this book! I would like to win it for my grandchildren. I'd like to win it for my son. I'd love to win this book for my granddaughters! The not for profit daycare I am on the board of. Kristen C - My nieces! would love to win for my step grandkids! Looks like such an adorable book! I would love to win this for my son. He loves the Pout Pout books, but doesn't have the Christmas one. I would love to win this for my son. He loves monsters and Christmas. Win win!! I would like the book for my granddaughter. I would love to win this for my nephew's little girl.